After many releases on international labels, Munir whose real name is Harry Septiandry has continuously grown into one of Indonesian boogie music's key players. Apparently, he's not just a DJ and a music producer but he is also a record label owner and a graphic designer. All of the artwork for the disco edits on his label? He made it! Clubs here don’t really support the underground dance music scene which is too bad and stupid, the club scene here is not so honest and open even though there is so much potential and producers/DJs in this city that need to play their own style of music." Last weekend, Bandwagon had the opportunity to visit Bandung and hang with the Midnight Runners' head honcho in his studio. Here's what we talked about. The interview has been edited and condensed for clarity. Your music is known for its warm, analogue sounds and heavy dose of modern funk, can you tell us about your creative process? How do you usually go about things in the studio? Alright, let's talk about influences, who are some of your favourite musicians and or producers? How does their music affect you and your sounds? Munir: There are many of my favorite influencers that I couldn't even list them all, but basically I listened to disco/funk music since I was a child when my uncle gave me records, so that could be one of my many influences. It affected my styles of music, so funk [helps] process music differently; the rhythm and groove-driven arrangement to each style of my music. What is the first record that you got which has shaped your musical style? 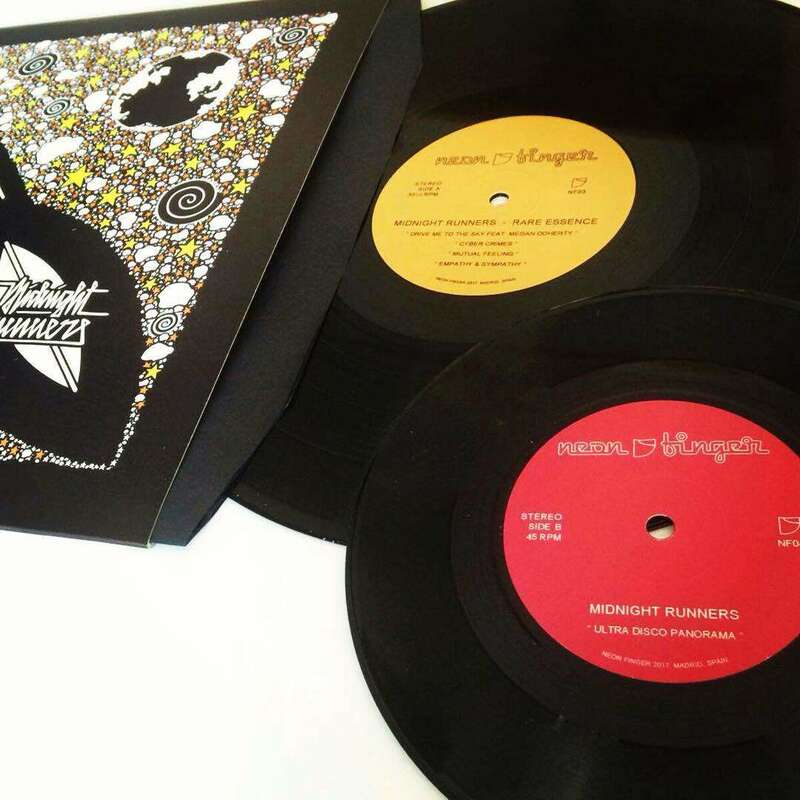 Munir: The first record I got was Positive Force - 'We Got The Funk' 12" single from Sugar Hill Records, and then I listened to modern funk music producers around 2010 such as releases by Dâm-Funk. The other release that's worth mentioning would be Onra's Long Distance album. From there, I pursue to make sounds like that. Can you share us some of your upcoming releases, such as the one on London's No Bad Days? Munir: That is old stuff that has never been out before. I made it 3 years ago, I sent them to record labels but no one responded at first. But I'm glad there is someone who actually likes it and I'm kind of relieved that my music finally gets to be released. Speaking of my forthcoming releases on the London label, luckily No Bad Days' label boss, Jake Hollick added me on Facebook and said that he likes one of my first releases as Munir, through the Amsterdam-based record label Dopeness Galore. After he contacted me, I sent my previous ignored demos to Hollick and he liked them all. Your hometown Bandung is known for its alternative scene and creative people, are there any DJs, producers or labels that we should know about or keep an eye on? Munir: Funkbox Records! Producers worth mentioning would be Awfi Muhammad aka Axxf and Jonathan Eka Adisaputra aka Johny Indo, they are a few of the producers I'm feeling in town. I think there will always be good DJs, but there are great DJs that I like, they are Fiky Ikbar aka Dude Love and Mohamad Adrian aka Madflo (short for Madflowerss).